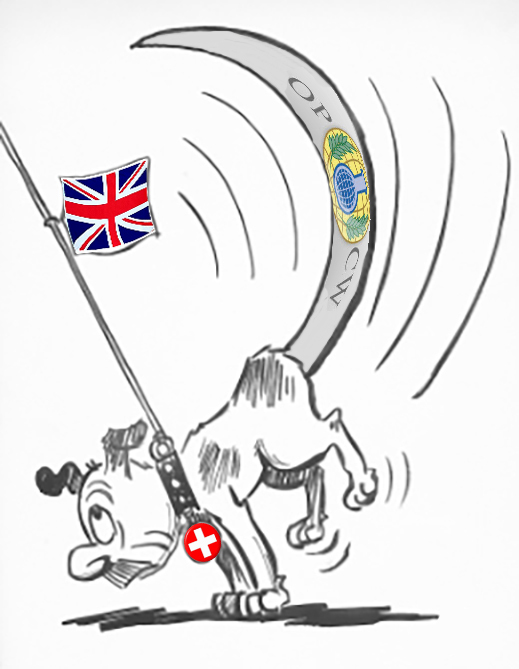 TAIL WAGS DOG – DID THE SWISS SPIEZ LABORATORY REPORT UNCOVERED BY RUSSIAN ESPIONAGE EXPOSE THE OPCW, BRITISH GOVERNMENT IN FAKING SKRIPAL EVIDENCE? Did the Russian espionage operation at the Organization for the Prohibition of Chemical Weapons (OPCW) in The Hague last April succeed before the Dutch counter-intelligence agents stopped it and caught the Russian agents? Did the report of an OPCW laboratory investigation of the Skripal poisoning, released publicly in Moscow the day after the Dutch arrests, reveal that by computer hacking the Russians were able to prove that OPCW’s Technical Secretariat and former Secretary-General Ahmet Üzümcü, together with the British Government, had been falsifying the evidence in the Skripal case, and violating the OPCW charter by keeping that evidence secret from OPCW member states? As announced last week by Dutch and British officials, on April 13 the Dutch arrested four Russians whom they accused of being agents of the Main Directorate of the General Staff, or GRU, as the Russian military intelligence agency is known. The four men were searched; their belongings confiscated; and because they were carrying diplomatic passports, they were expelled. Details of the allegations against them, together with photographs of the alleged evidence, can be read here. Left: Dutch Defence Minister Ank Biljeveld at her press conference on Russian spying, October 4; Russian Foreign Minister Sergei Lavrov replying to the Dutch in Moscow on October 8. Left: Alexander Shulgin, Russian Ambassador to The Netherlands and Russian Representative to the OPCW; right, The Netherlands' Ambassador to Russia Renee Jones-Bos, summoned to the Foreign Ministry in Moscow on October 8. On April 14, the day after the “routine trip” in The Hague, Lavrov announced details from a report by the OPCW contract laboratory in Switzerland, Labor Spiez. According to Lavrov, an analysis by Spiez of samples OPCW inspectors had taken in Salisbury, including blood samples from Sergei and Yulia Skripal, had not substantiated the British allegation that a Russian chemical poison, Novichok A-234, had been used by Russian agents to attack the Skripals on March 4. 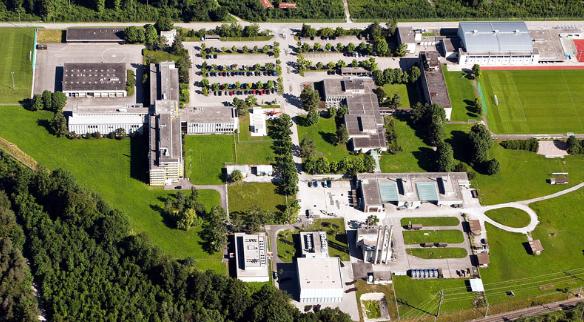 The Spiez Laboratory, 40 kilometres south of Bern in central Switzerland, is one of several contractors to the Technical Secretariat of OPCW; for the laboratory’s website, click to open. Reuters reported, also on April 14: “Lavrov read out parts of the report that he said showed the substance had traces of the BZ agent. 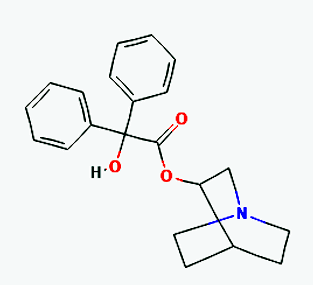 ‘This formulation was in the inventory of the United States, Britain and other NATO states,’ Lavrov said, at an assembly of the Council on Foreign and Defence Policy… the report from the Swiss lab mentioned no nerve agents by name, such as Novichok, but instead gave a long chemical formula that points to a substance that has been developed by many countries. ‘We, as you understand, have abilities to receive confidential information. And as this information concerns questions of life and death, we won’t keep this information secret,’ Lavrov said. Lavrov intended experts to understand that when he referred to Russian “abilities to receive confidential information”, he was referring to espionage. He was not denying that the Skripal samples delivered by the OPCW to Spiez contained A-234 (Novichok). However, he implied this had been added after the original samples had been obtained because the time lapse since exposure on March 4 ought to have degraded the concentration level reported, and because, had the Skripals been exposed, the dose would have been fatal. Lavrov’s statement was explicit that the chemical agent to which the Skripals were exposed in Salisbury was BZ. 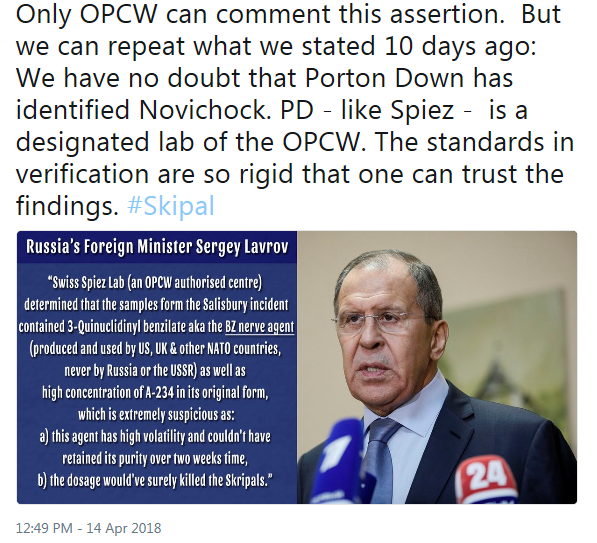 By then, however, the Spiez laboratory had responded by tweeting that it was up to OPCW, not Spiez, to confirm or deny the contents of the Spiez report on the Skripal samples. The Spiez tweet was not a denial of Lavrov’s disclosure of the Spiez report. It also evaded the two forensic issues which Lavrov’s public reading of the Spiez report had pinpointed: was BZ identified in the Skripal samples? Was the concentration of Novichok A-234 too high to be present in the Skripals’ blood without killing them? 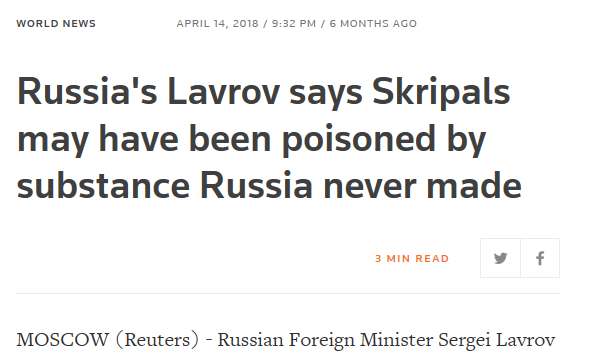 Source: https://twitter.com/spiezlab/ The Swiss state news agency reported: “Swiss lab stays silent on Lavrov poison claims”. 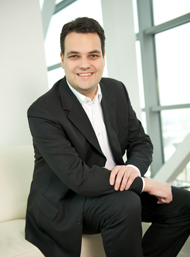 The Swiss state media also referred to an earlier Swiss newspaper report from a Spiez chemist named Stefan Mogl. “The institute added that ‘everything we can publicly say is in the Neue Zürcher Zeitung article’. In the same post, they retweeted the article in which Mogl said the UK findings were credible and the British laboratory’s reputation ‘indisputable’.” Mogl’s remarks were published on April 5 in Neue Zurcher Zeitung. 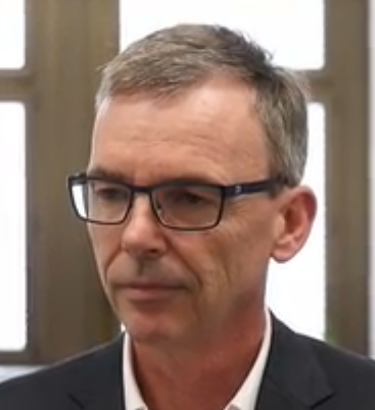 Mogl (right), who identified himself with NATO investigations of alleged chemical warfare incidents in Syria, told the Zurich newspaper: “I have no doubt that the [British Porton Down] lab has properly measured [the Salisbury evidence] and it really concerns Novichok.” However, unreported since, is the newspaper dateline. April 5. Mogl was giving a general endorsement of Porton Down. He did not say he had examined the samples sent to Spiez before March 27, when Lavrov’s copy of the laboratory report was dated. According to the newspaper, “two trusted labs of the OPCW network [one of them Spiez] are evaluating them currently [April 5]; their findings should be already given in the beginning of the next week [April 9].” Mogl has not been reported in the Swiss press after Lavrov’s disclosure of the Spiez report had identified BZ and A-234. Mogl, a Swiss educated in the UK, served for most of his career at the OPCW. The Neue Zurcher Zeitung reported Lavrov’s disclosures from the Spiez report on April 16. The headline acknowledged that “half the truth” about the poisoning agent was available to the public. The OPCW session on April 18, to which Lavrov and the Spiez lab tweet referred, ignored the challenge to corroborate the British allegations with the technical reports. The OPCW had already redefined its charter on confidentiality to stop the release of the laboratory reports on the Skripal samples. For how this was done, read this. Blum’s acknowledgement accounts for BZ; it fails to account for the lethal concentration of Novichok more than two weeks after the exposure incident. Blum also went halfway towards Lavrov’s reading of the Spiez report that tampering may have occurred between the “control” and “true” samples – or if not tampering, significant differences of forensic interpretation. Because the OPCW has refused to circulate the laboratory reports to the OPCW member delegations, or publish them in the media to which Blum and other OPCW and Spiez officials have given interviews, it is impossible to say what the evidence means. It is equally impossible to say that the Russian espionage operation had resulted in a fabrication of the Spiez report. In mid-September the Swiss press amplified on the hacking story, reporting from the Swiss Federal Intelligence Service (FIS) that two Russians had been caught spying electronically on the Spiez laboratory. The Tribune de Geneve claimed Russian agents targeting Spiez had been detected six times in and around Geneva.